In a case of utter disregard for the health of thousands of people, Kasauli-based liquor distillery of Mohan Mekin has been dumping its untreated effluents openly into a nullah, thus polluting a water source. A fresh survey will be undertaken in the state capital to reassess property tax being charged from house owners not only to meet pre-requisites laid down under the Jawaharlal Nehru National Urban Renewal Mission but also to enhance income of the body. The state government has decided to take the support of Army authorities to motivate students to join the Army. Deputy Commissioners of all districts have been directed to take the matter with Army officers in their respective areas. Chief Minister PK Dhumal has urged the Centre to allocate foodgrains for 10.84 lakh Above Poverty Line (APL) families in the state so that there was no shortage of supply. 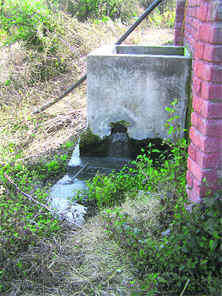 While a large number of people in Hamirpur district get affected by jaundice and other water-borne disease by drinking contaminated water every year, thousands of residents are still forced to drink such water due to scarcity of potable water and with the Chowki-Jhaniara drinking water scheme in a shambles. The five-day Manali Winter Carnival and National Senior Alpine Skiing Championship will begin here tomorrow. Chief Minister PKDhumal will inaugurate the event while MLA Govind Thakur will preside over the concluding function. Kullu Grammoudhyog, an exhibition that began at Dhalpur Maidan here about two weeks ago, was sealed by the district police today due to the seizure of objectionable books depicting Mahatma Gandhi as “Rangila Gandhi”, Hindu as “Darinda”, “Musalmano par arop Niradhar” besides abusive language used against Hindu Gods. Parents and teachers must inculcate moral values and discipline in students at a young age to prepare them to face all challenges in their lives independently. After launching the centrally sponsored School Water Harvesting Scheme under the Mahatma Gandhi National Rural Employment Guarantee Yojna, Chief Minister Prem Kumar Dhumal said here today that the state government had decided to hold elections of the panchayat pradhans and up-pradhans directly. State Congress Kheti Kisan Mazdoor association convener and former Jogindernagar MLA Surinderpal Thakur today accused PWD Minister Gulab Singh Thakur of shielding mobile service companies which were laying down cables along the Pathankot-Mandi highway without the mandatory permission from the highway authorities. The entire higher reaches in the Manali region, including 13,050 ft-high Rohtang Pass, the gateway to Lahaul-Spiti valley, Pir Panjal ranges, Bhrigu slopes, Marhi Gulaba, Hamta ski slopes, Dhundi and Chanderkhani pass experienced fresh spell of snow today while the lower parts of the areas were lashed by rain. The Akhil Bhartiya Vidyarthi Parishad (ABVP) today demanded withdrawal of university status granted to Baru Sahib college and setting up of a state-level monitoring committee to check exploitation of students by private universities and colleges. Residents of Ladoh village had been demanding one-km-long road as a connectivity link to cultivate over 300 hectares of land for the last few years, but to no avail. Over 750 patients were checked during the two-day free health check up camp organised at the residence of Forest Minister JP Nadda at Nadda Nivas in Vijaypur village, near here. Vivekananda Kendra would hold a two-day free ear, nose and throat (ENT) camp here as its monthly feature from tomorrow. Burglars decamped with silver and brass masks worth Rs 25,000 from Dev Gehari temple of Galu today. This exercise has been going on surreptitiously for nearly a month now and the toxic effluents from the distillery have been finding its way into the Ladaa potable water supply scheme. The population of thousands, which is fed by this scheme, have been forced to drink polluted water which is not only malodorous, but stinks badly when stored even for a few hours. Officials of the IPH Department, pleading helplessness, said they had taken up the matter with the distillery but despite a lapse of one month, nothing was done to stop this pollution. They said the water tank had been cleaned several times but since there was no let-up in the dumping of effluents, the drinking water continued to be polluted. IPH officials also added that such a mischief could have been done in the past too but since it had not rained this year, the effluents found their way into the water-supply scheme. Officials also added that initially the distillery management failed to even agree that it was effluents from their plant which was polluting the water and now, when confronted, they pleaded that they would solve this problem within 20 days. This callous attitude of the plant in continuing to dump their effluents was causing havoc with the health of the people who were forced to consume dirty water, he added. The State Pollution Control Board, however, came to the rescue of villagers who, after receiving a complaint, took samples of the polluted nullah where the effluents had been dumped incessantly. Officials of the board said preliminary investigations pointed a finger of suspicion towards the distillery and a show-cause notice had been served to them to explain their position. Laboratory analysis of the water samples will help analyse the gravity of the situation and any further action will depend on the report, confided officials. Officials added that since no new product had been added, it could be a deliberate mischief. While this was a violation of the laid rules, the plant could face severe action once the lab reports proved the gravity of water pollution. A fresh survey will be undertaken in the state capital to reassess property tax being charged from house owners not only to meet pre-requisites laid down under the Jawaharlal Nehru National Urban Renewal Mission (JNNURM) but also to enhance income of the body. The local municipal corporation (MC) has engaged the services of Delhi-based consultants who will undertake a complete survey of the town. The firm is likely to submit its report within the next six months following which the MC would resort to a new system of assessment of property tax. The fact that even after four years since the Special Area Development Areas (SDA) of Dhalli, Tutu and New Shimla were merged into the MC, no property tax was being charged from the house owners. “Even though no exact projections can be made at the moment but it is estimated that the income of the MC would go up three times once the property tax is re-assessed,” said a senior official. At present the MC gets about Rs 5 crore annually through property tax and once the new system of calculating property tax is brought into force, the amount is expected to touch Rs 15 crore. “For certain inexplicable reasons the income from property tax in Shimla has gone down over the recent years despite the fact that the construction activity was in full swing,” explained officials. Though the main reason for engaging a consultant to undertake a fresh survey which was last time done in 2004 is to meet the pre-requisites under the JNNURM but the fact that even after four years of their merger no property tax was being charged in SADA areas. “Though an exemption from property tax was given in the SADA areas after their merger in 2006 for one year only but the fact is that even today no charges are being made,” said officials. Sources point out that to ensure smooth flow of funds under JNNURM for Shimla which is one of the 63 cities chosen under the nationwide mission, the switchover will have to be made. The MC which at present is assessing property tax on the ratable average value will switch over to the unit area method which will lead to rationalisation of the whole process. However, sources point out that the fresh survey will help in rationalisation of the entire process and in some cases the present property tax being paid by owners could come down. Kangra Deputy Commissioner RS Gupta, when contacted, admitted that directions had been received from the Himachal government. He said initially the idea was conceived at a meeting of Chief Minister PK Dhumal with Army commanders in the state. The latter had expressed concern at the declining number of officers in the armed forces. To this, the CM had requested them to depute their officers for motivating schoolchildren in the state. The DC recently took up the matter with Army officers from the Rising Star Corps based at Yol near Dharamsala. He urged the Army authorities to depute their officers along with the district education officers to inform the schoolchildren regarding the procedure for joining the Army. It was decided that Army officers would be taken to at least one school at each tehsil in the district. They would address the students in the morning assembly or any other time suitable to local school authorities. They would inform them above the benefits of joining the armed forces and tests conducted for recruitment to the NDA. Other officers present at the meeting opined that the practice should also be extended to private schools. A member of the Rotary Club, who was also present, offered to help in the move too. However, experts are of the view that at least in government schools, the simple information cannot help the students in getting through competitive examinations like the NDA. Besides making the students aware about the benefits of joining the armed forces, the government would also have to provide basic training to prepare them for all-India level competitive examinations. Interestingly, Himachal has a large number of ex-servicemen with the Kangra district having their highest concentration. The ex-servicemen league of the state is quite effective and an organised body. The government can urge the ex-servicemen in their respective areas to train the schoolchildren for the entrance test so that they are at par with students from other parts of the country. Participating at a meeting convened by the Centre on price rise under the chairmanship of Prime Minister Dr Manmohan Singh at New Delhi today, Dhumal said Himachal Pradesh was a special category hill state and it should be provided foodgrain quota at the rate of 35 kg per ration card as was being given to north-eastern states. “At present, the Centre is allocating foodgrains to the state for 7.43 lakh APL families and not the exact figure of 10.84 lakh families,” he said. Dhumal also urged the Centre to clear the backlog of 50,000 quintal sugar as the state was facing lot of difficulty in supplying levy sugar to the consumers. He said despite frequent requests by the state in this respect, the demand had not been met by the Centre. He said at present, 7,118 metric tonnes rice was being allocated for the APL families which should be increased to 10,000 metric tonnes per month to meet the requirements. Similarly, the allocation of wheat should also be increased from present 14,490 metric tonnes to 25,000 metric tonnes. The Chief Minister said the state had faced failure of three agricultural crops continuously and had, as such, urged the Centre to allocate foodgrains under flood relief which it did but the price was fixed at par in the open market. On the other hand, the state government has requested that additional allocation be made at Below Poverty Line (BPL) rates so that the people of the state got some relief. Dhumal also demanded an enhanced supply of 6,94,314 cylinders every month against 5,46,210 cylinders as it was resulting in shortage. He also brought to notice the delay in supply of pulses and oil seeds. Villagers of Nadyana, Sadyana, Chhal, Chubon, Bullah Chhal, Bassi and Jhaniara rued the fact that they were not getting adequate supply of drinking water. The condition of the well having submersible pump is also quite bad and water chamber is damaged at many points, he added. While inaugurating the event, PK Dhumal will pay obeisance at the Hadimba Devi temple and flag off the cultural procession. The cultural procession will begin from Hadimba Devi temple tomorrow morning and terminate at Nehru Park, popularly known as ‘Ram Bagh’. Manali SDM Rajeshwer Goel, also the chairman of the winter carnival committee, said nearly 3,000 participants from across the country might participate in the five-day carnival. He further said the number of participants had been increasing every year. Goel said the carnival had been successful in promoting winter tourism in Kullu and Manali by attracting many domestic and foreign tourists. RC Negi, president of the Himachal Pradesh Winter Games Association, said nearly 17 teams across India, including the ITBP, Army, Air Force, BSF, Navy and HAWAS, might take part in the National Senior Alpine Skiing Championship. He added that if Solang skiing slopes, 13 km from here, would not have sufficient snow till tomorrow, then the skiing championship would be held at Gulaba slopes, about 19 km from here, on Manali-Rohtang Road. These slopes have ample snow and meet the specification for hosting such events, he added. Activists of the RSS, VHP and Bajrang Dal began protesting against the sale of such books today while the police controlled the situation by arresting Jeet Singh, a resident of Mandi, who was at the sales counter. There were also references made in praise of Muslims, Christianity and Pakistan in many books. Superintendent of Police KK Indoria said 600 books were seized and a case under Sections 153 A, 34 had been registered. He said the probe would reveal the gravity of the case and the Sections would be accordingly imposed. Meanwhile, saffron brigade leaders, RSS divisional secretary Rajeev Kareer, district chief Hindu Jagaran Manch Rajan Sood, Bajrang Dal state coordinator Hardeep Thakur and others submitted a memorandum to the President of India and Governor of Himachal Pradesh through the Deputy Commissioner today. They had condemned the issue and demanded a case of treachery be registered against the accused. The district police chief said the publishers were from Mumbai, Delhi, Faridabad, Chandigarh, Jalandhar and Srinagar although he did not reveal the names. This was stated by Education Minister ID Dhiman while speaking during the annual prize distribution function of Government Senior Secondary School at Kangoo yesterday. The minister asked the teaching community to help in curbing the practice of copying and tuitions and concentrate on the all-round development of their students. He also talked about various steps being taken by the state government to improve the quality of education in the state. The Education Minister announced Rs 2 lakh each for maintenance work and construction of classrooms and Rs 5 lakh for the construction of play ground in the school. He also gave away prizes to the meritorious students. A colourful cultural programme was also presented and the minister announced to grant Rs 5,000 for encouraging cultural activities in the school. Earlier, principal Pushpa Sharma welcomed the chief guest and briefed about the achievements of the schools during the last academic session. He said the same would be considered for elections of the mayor and presidents of local urban bodies too. Dhumal further said this was being done to strengthen democracy at the fundamental level. Speaking about the state-level Nirmal Puraskars given to 253 panchayats, Dhumal said the government needed consistent development, thus, the elections of the mayor of the corporation, presidents of municipal councils and nagar panchayats would be held directly as that of the up-pradhans. He added that the state government had made an amendment in the Panchayati Raj Act for holding direct elections of the pradhan and up-pradhan in the gram panchayats. This would help electors electing their leaders as per their will. Without elaborating on the scheme, Dhumal launched the School Water Harvesting Scheme so that schoolchildren get water easily for drinking and other purposes. However, Rural Development Minister Jai Ram Thakur said the scheme aimed at building structures in each school of the state. “These companies had the permission to lay cables on the highway till 2008. However, they are continuing with the process, making the highway hazardous,” he charged. Talking to mediapersons here today, Thakur claimed that the PWD Minister was hand in glove with the mobile companies and were flouting rules. The companies had deposited Rs 4 crore for the purpose and had got the permission only till 2008, he added. He said the PWD Minister had not constructed a single new road in his home segment of Jogindernagar. All schemes inaugurated by the present government were the achievements of the previous Virbhadra government, he claimed. He further alleged that the state government had double standards as it was taking credit for the central government schemes like MGNREGA, but it had been accusing the Centre of not giving funds. He said the health services was in a shambles in Mandi as the CT scan machine had been out of order for over a year. The famous ski slopes of Solang valley are also receiving fresh spell of snow. The fresh spell of snow on the Solang ski slopes brought smiles on the faces of ski lovers who have come from different parts of the country to participate in the National Senior Alpine Skiing Championship. The fresh snow on the 14,000-foot high Bhrigu ski slopes and 14,500 ft-high Hamta slopes also brought smiles on the faces of Heli skiing lovers who have come from overseas, and camping in Manali for Heli-Skiing. Icy winds which lashed the entire upper Manali region throughout the day further intensified the cold wave. ABVP activists today held a protest rally near Naaz against the high handedness and exploitation of students at the engineering college at Baru Sahib. “It is after suffering that the students finally protested against the arbitrary enhancement in fee, fixing of a dress code and internet charges despite the facility not being provided,” said Ashish Chauhan, ABVP leader. The state secretary of the ABVP, Naveen Sharma, said the party would continue its stir against “commercialisation of education” resulting due to opening of private universities which did not meet the required conditions and standards. Satish Sharma, a resident of the village, said 300 hectares belonging to over 40 families of Ladoh village needed about one-km link road so that agricultural activities could be carried out with modern amenities. Satish Sharma further said the villagers had approached the PWD Department also, but to no avail. Satish Sharma added that they approached former Union Minister Shanta Kumar in this regard, who forwarded their request to local MLA Captain Atma Ram, but no action had been taken hitherto. He said Agriculture Minister Narinder Brakta, too, was approached but no to no avail. He said Chief Minister PK Dhumal was also approached who suggested all villagers to write to the PWD Department for the same. The panchayat passed a resolution and the villagers also wrote to the PWD Department a few months ago but no reply had come so far, Satish Sharma said. They demanded that the Chief Minister should direct the authorities concerned to redress the problem at the earliest. The camp was organised under the Himachal Health Exchange Programme that concluded last evening. The Forest Minister was yesterday seen helping the elderly and others. He also helped the patients explaining their problem to doctors as most of them did not know Hindi and could not diagnose their problems. Dr Ravinder Singh, the in charge of the doctors’ team, said test of diseases like sugar, ultra sound and ECG (70) were conducted free of cost. There were maximum patients having pain in joints and bones while most women had gynaecological problems. Spokesman of Vivekananda Kendra BL Sharma said the ENT OPD would be held at Gopal Bagh, Gurkhari, on the outskirts here tomorrow at 3.30 pm. The patients would be operated upon for endoscopic surgeries on February 8 at the local civil hospital. Dr Sanjay Sachdeva, head of the ENT Department and director Fortis, New Delhi, would operate the patients.